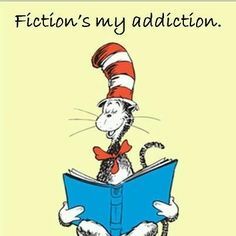 Fiction’s my addiction. Well, that about sums up how I feel about it. 😉 However, I would like to delve deeper, with you my audience, into why fiction captures our hearts and enraptures our souls. I can not recall the exact moment when I began to read fiction avidly – as long as I can remember, I have been a reader. Books such as C.S. Lewis’ Chronicles of Narnia, Martha Finley’s Life of Faith series, and others quickly made their permanent place in my heart. What was it about these stories that drew me in with such curiousness and desire? Could it be, that behind each series there was more than just words? Truths were woven in and truth is what, ultimately our hearts desire however hard it may be to hear – or in many peoples cases, read. The Chronicles of Narnia with its beautiful allegories and similes thrilled my soul as I eagerly soared through the pages. When I realized who Aslan portrays – Jesus Christ, and who the White Witch was formed after – Satan, it was with excitement that I began to see these intricately written metaphors. Regarding the Life of Faith series by Martha Finley, the main character Elsie Dinsmore was such a wonderful heroine. I found myself challenged in my own walk with the Lord to become more godly, spend more time with Him. This in itself is such a marvelous reason to read fiction, being challenged in life is critical to growth, but when one is challenged by a character…it touches a different place in your heart. As the years have passed, other types of books have stolen another area of my story-loving heart. Series’ such as that of the Christy Miller by Robin Jones Gunn and Love Comes Softly by Janette Oak have instantly become favorites. I love each for different reasons, for the former I enjoy the clean romance intertwined with the relatable and flawed characters and the latter heightens my fascination with history and everything about those time periods. Fiction, I have discovered, for myself at least, is an escape – a way to enter another person’s world. What secrets shall I dig up? Which adventures will I embark on? Fiction remains such a beautiful form of writing and I know that it will always be a special pastime of mine.